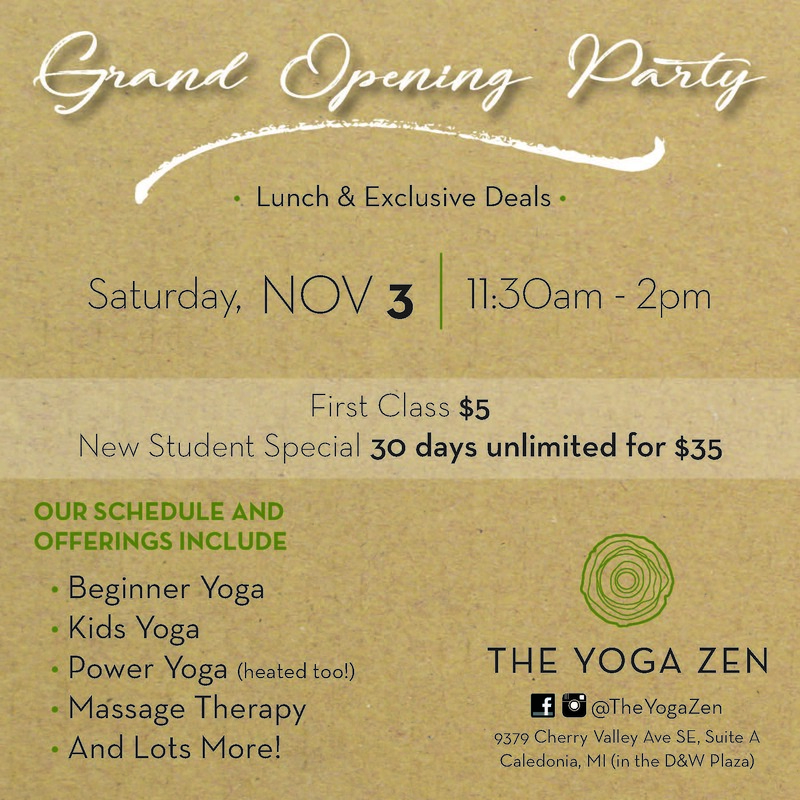 Join us for the Grand Opening Party & Ribbon Cutting at The Yoga Zen on Saturday, November 3rd, beginning at 11:30am. Ribbon Cutting at Noon. Face painting, food & drink, chair massages, exclusive deals on class passes, and enter to win free memberships (1 month, 3 month, & 12 month)!